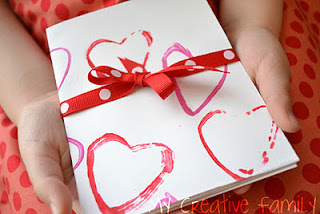 Since I've been doing a lot of pinning in a procrastinating panic, I thought I'd share a few of my favorite simple ideas that could be used for valentines for kids. If we have to make 33 cards... they need to be super easy. If you have any other simple favorites, I would love you to share them in the comments. Did you get any new ideas? I need to figure out how to do a combination of all five projects. What have you made already with your kids? Are you a procrastinator like me? Or indecisive like me? I hate it, but always get my best ideas at the complete last minute. Ugh! Stay tuned for our final Kindness round up that will be shared later today (Sunday). Have a great day! 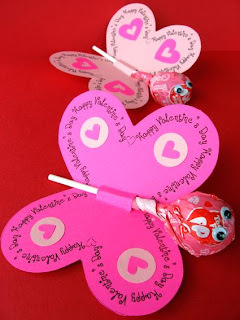 We made the butterfly ones for Madeline's class the other day and they were super easy! They are so cute! Wish we could do lollipops at Andrew's preschool! What a super cute picture of you and your hubby! 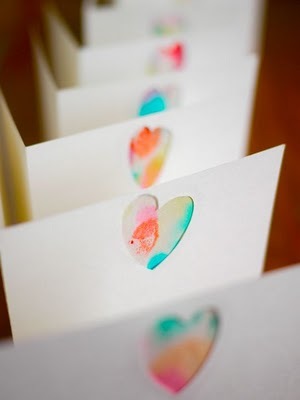 Thank you for including our heart-stamped cards! I'm so glad you liked them so much. 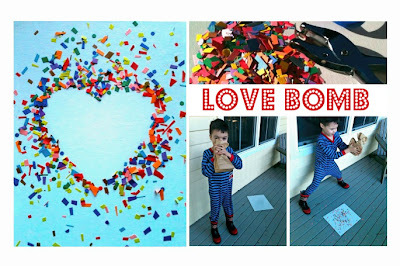 They were so easy and so much fun to do! I usually wait until the night before, but you inspired me to do it a day early! I just took a picture of my kids holding out their hand, and I'm going to do the lollipop version of the kid holding the candy. Ooo, so glad I could help Laura :) I want to see a pic when they are done. That is such an adorable idea. Maybe I'll try it with a heart shaped eraser or have them holding a V-day pencil? Candy is so much more fun though. Good work. The fact that you mailed anything is impressive to me. If I was mailing anything it would be a month late! I took George's picture today to do the "This Valentine's Day I give you my heart!" Thanks, as always, for the great idea! !